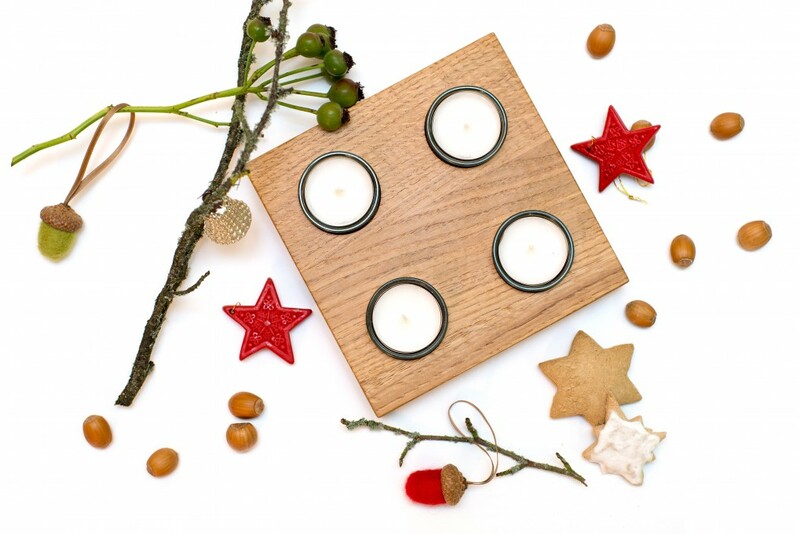 Our minimalistic Advent wreath makes for a simple and yet impressive Christmas decoration. 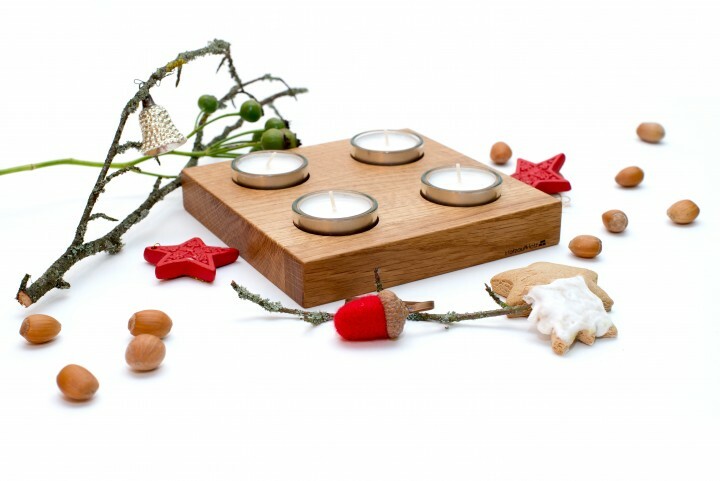 This Advent wreath guarantees a Christmas atmosphere whether on your window sill, coffee table, or piano top. 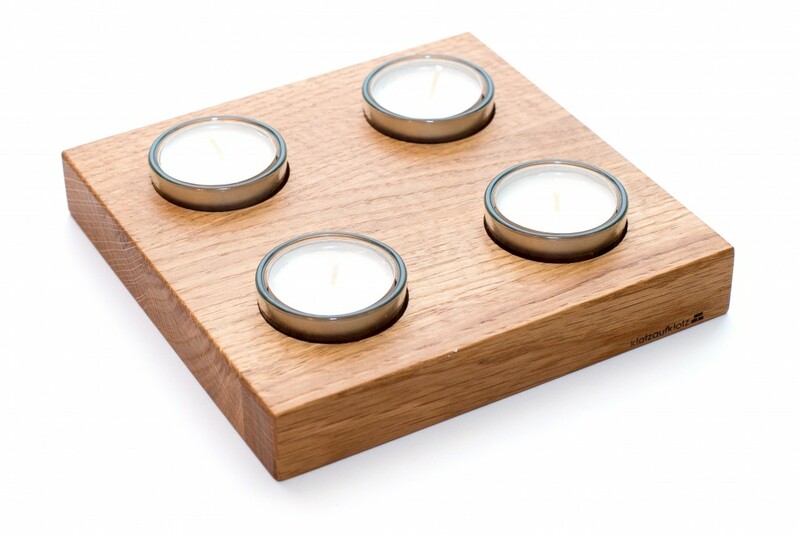 The solid square wood block is fitted with four symmetrically arranged indentations, one for each tea light. 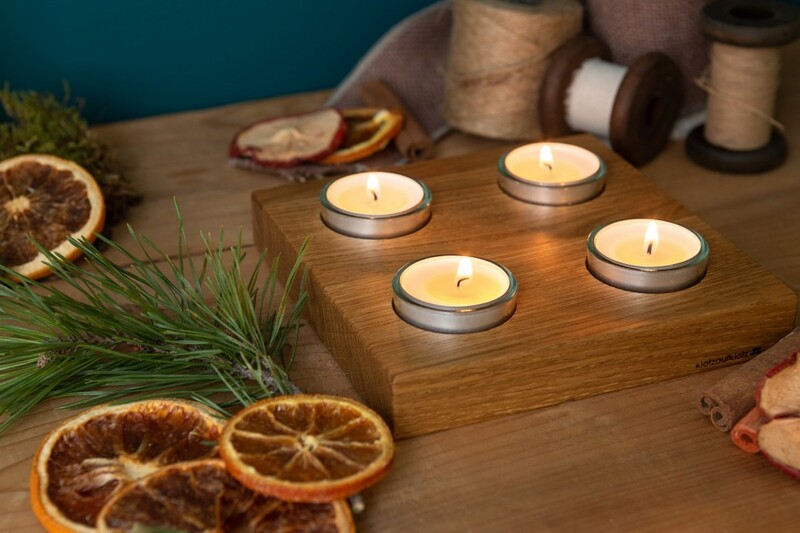 The candles are put in a glass dish for safety reasons. 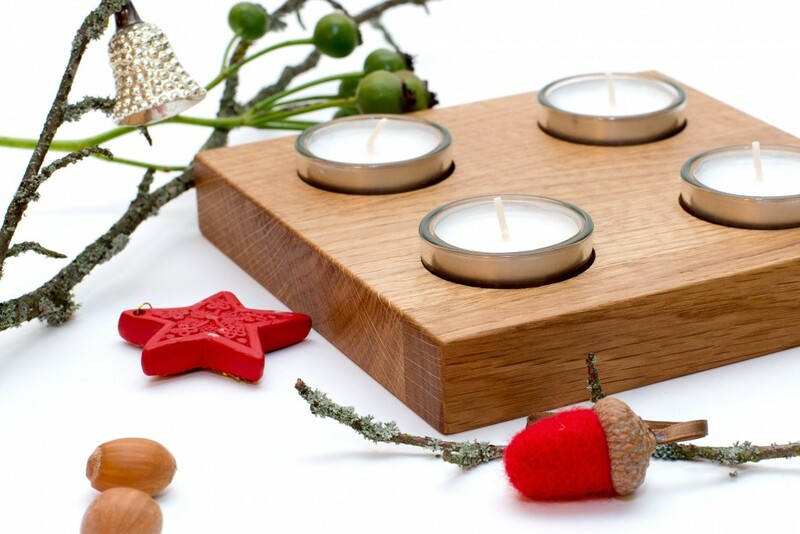 Light an additional candle on every Sunday of Advent and let the wreath bring more joy with each lit candle as Christmas draws nearer.